Vitamin A, a nutrient found in green leafy vegetables and orange vegetables and fruits, plays an important role in bone growth, reproduction, immune function, hormone synthesis and regulation, and vision. 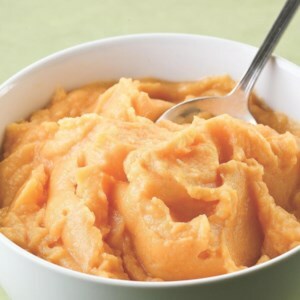 Get more of this important nutrient in your diet with these vitamin A-rich recipes. 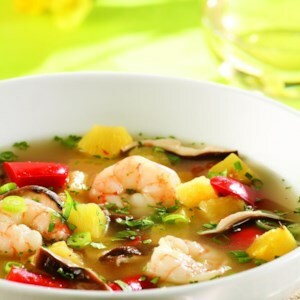 We've added fresh pineapple to this spicy, sweet-and-sour Thai soup. 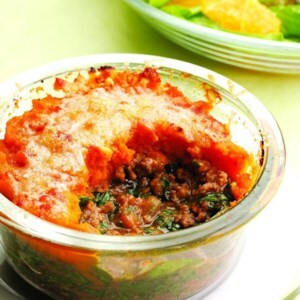 Enjoy it as a first course before a light Thai curry or as a light lunch. 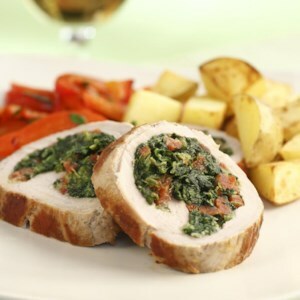 This mouthwatering pork tenderloin is stuffed with chorizo, cheese and spinach. Once you master stuffing a pork tenderloin--you just cut the tenderloin almost in half lengthwise, pound it, fill it and tie it closed with kitchen string--you won't want it any other way. 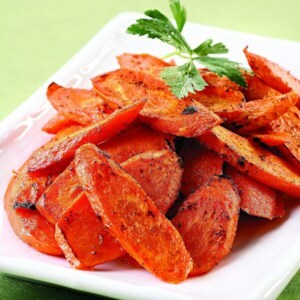 Serve with sautéed red peppers tossed with capers, parsley and sherry vinegar and roasted potatoes. 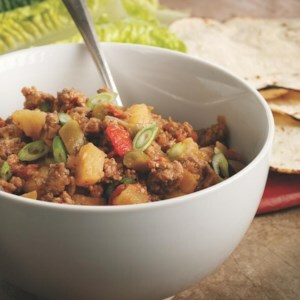 To double this recipe, use 2 skillets or brown the tenderloins one at a time. 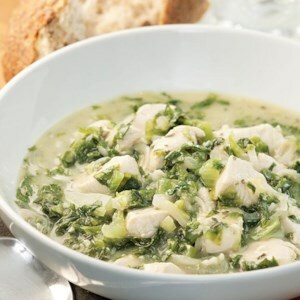 This satisfying stew stars chunks of chicken and tender braised escarole in a flavorful Dijon wine sauce. 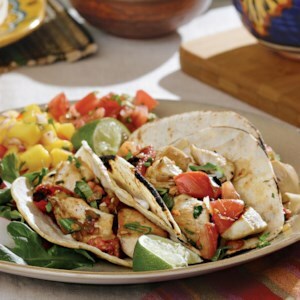 Try it with boneless, skinless chicken thighs or pork tenderloin, if you prefer. It doubles easily in the same pot. Serve with rustic whole-grain bread. 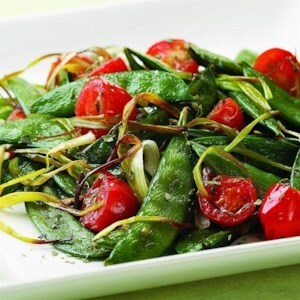 Serve this Italian-inspired combination of sweet snap peas, leeks and tomatoes with roast chicken or garlic-rubbed grilled steaks. 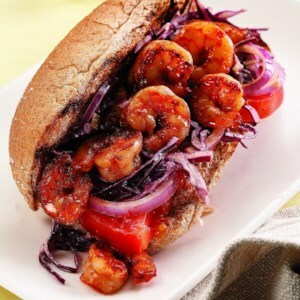 This twist on the Louisiana favorite piles grilled shrimp and creamy-dressed cabbage onto a crusty bun. Bread that's soft on the inside and crusty on the outside is perfect for a Po' Boy sandwich. 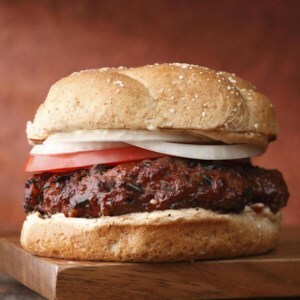 We grill both sides of a whole-wheat bun for that added crunch. You may need a few extra napkins to enjoy it, but this quick and easy sandwich is well worth it. Serve with: Sauteed corn and bell peppers. 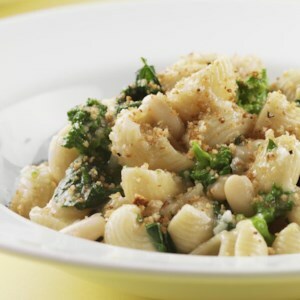 The assertive flavor of broccoli rabe and rosemary are paired with sturdy chickpeas in this satisfying pasta dish. When buying broccoli rabe, check to make sure the bottoms of the stems are relatively tight, green and moist. If the broccoli rabe at your store is past its prime--or if you prefer a milder taste--use broccolini or regular broccoli instead. Garnish with a sprinkling of freshly grated Parmesan cheese.